Drain tofu on paper towels and pat dry. Wrap block of tofu in paper towels and microwave for 30 seconds. Drain tofu again and microwave at least once more, and pour off liquid that is coming from the tofu until it is firm. Mix miso, sugar, and sake in a small pan. Cook at medium heat for several minutes until miso is bubbling and shiny. 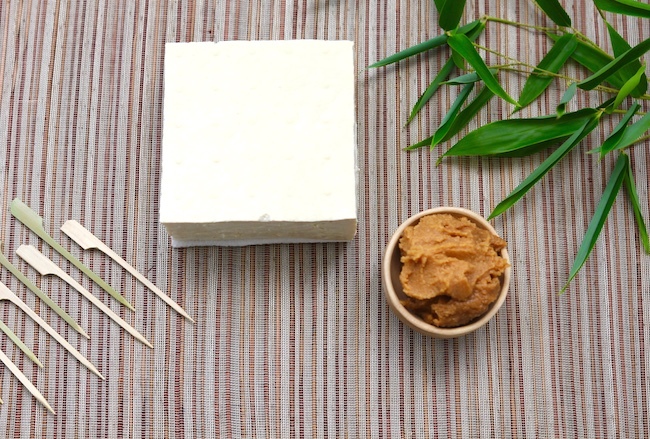 Cut tofu into one-by-one inch squares and arrange on a foil-lined baking sheet. Broil need the heat for several minutes until tofu begins to brown. Remove from oven and spread miso on the browned side of the tofu cubes, and return to broiler for another few minutes to allow them to turn a nice, deep brown. 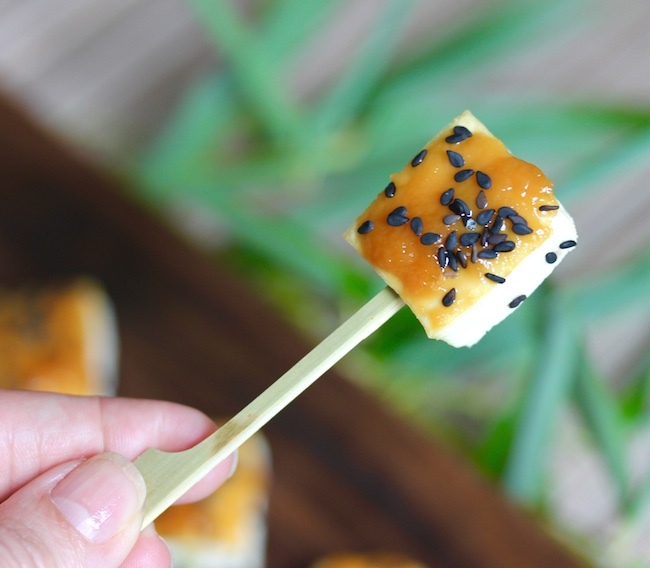 Sprinkle with toasted sesame seeds, attached cocktail picks to the side of each piece of tofu and serve.